On a fiercely cold night, nearly 50 veterans and a dozen volunteers came together for drinks, food, music and camaraderie at the Soldiers Home campus. 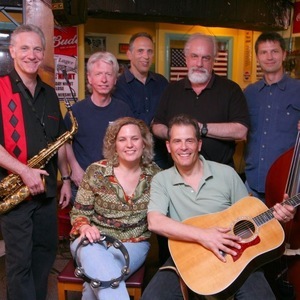 The event Jan. 28 marked the fifteenth time Friends of the Soldiers Home and veterans met up for this community mixer called Happy Hour. Friendships were formed and stories were shared. At the end of the night, volunteers headed back into the cold, but with a warmer feeling than they had before they arrived. 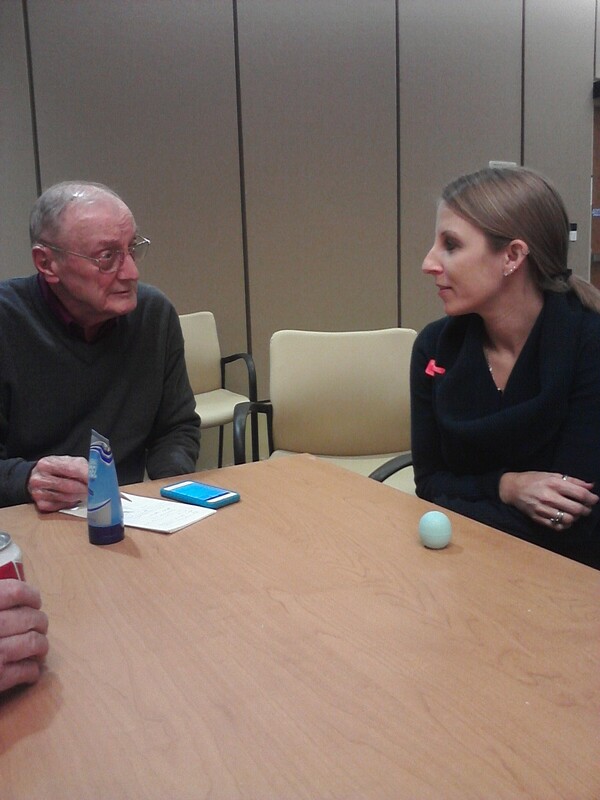 Photo: Veteran Harry Miller enjoys visiting with volunteer Krista Hurlburt at Happy Hour Jan. 28. 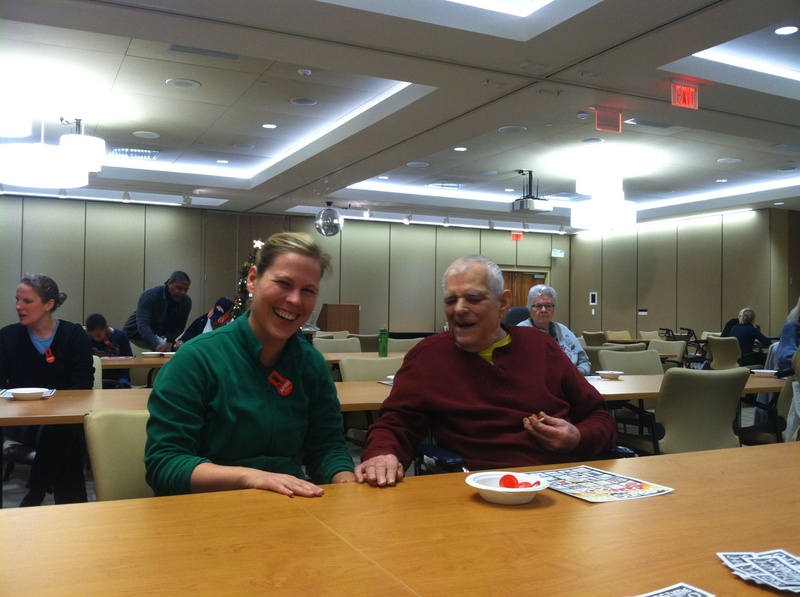 Ten people helped residents play Jingo during the January 9th event at the Armed Forces Retirement Home. 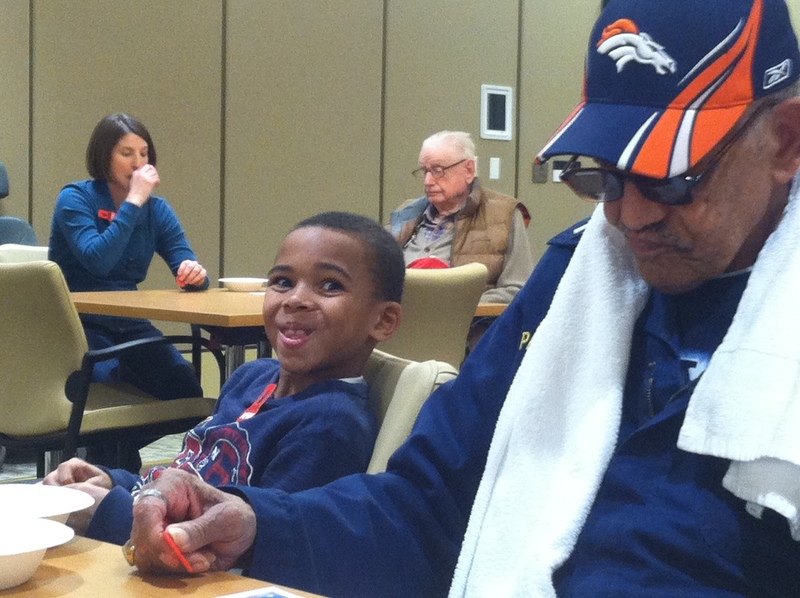 Who had more fun, the veterans or the volunteers? Let’s call it a draw. We know Ida Simpson had fun. 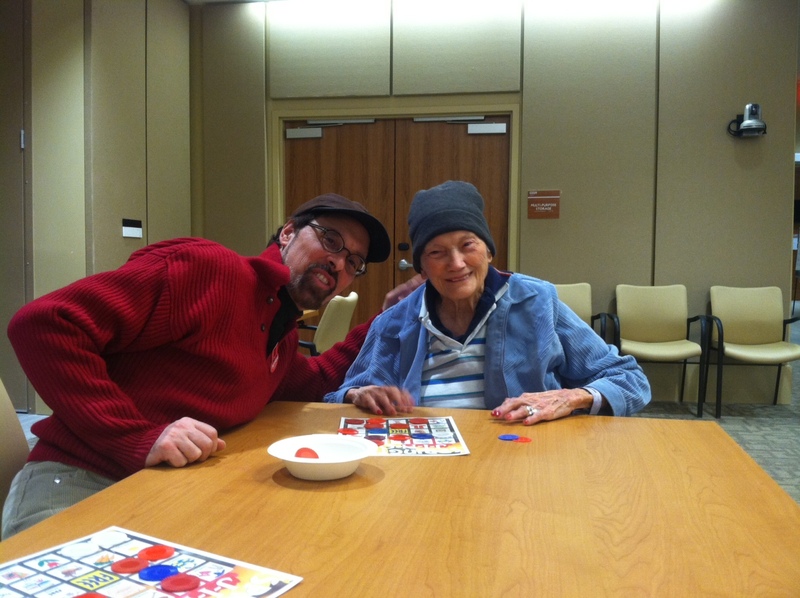 She is pictured wearing the cap in one of the photos below with volunteer John Salatti. It was Ida’s birthday, and she won a game. Can’t top that! Next month, Feb. 13, will be our 25th Jingo! Write volunteerfriendsofsoldiers (at) gmail (dot) com to be part of the fun. John Salatti and Ida Simpson.